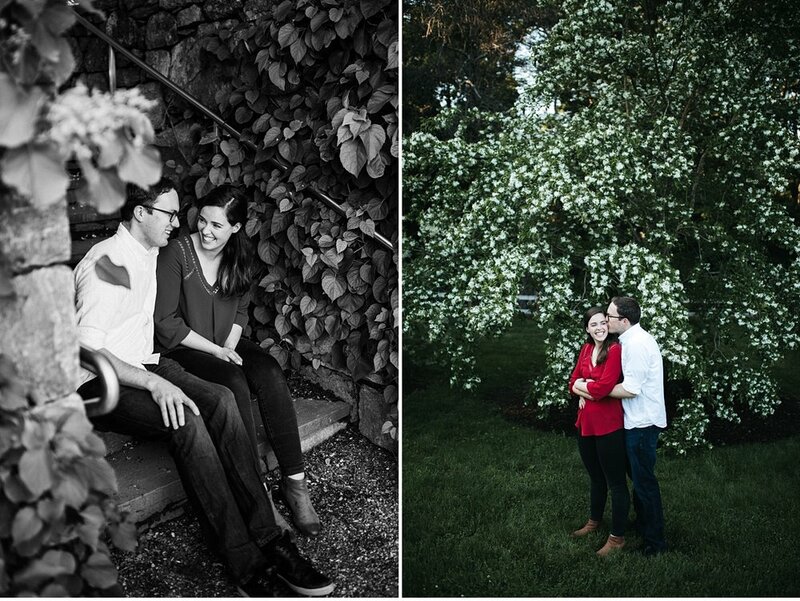 Having someone follow you around and take pictures of you and your fiancé can be uncomfortable for us non-celebrity types — which is why engagement sessions can be such a positive pre-wedding experience! We met at the Arnold Arboretum in Boston, a gorgeous little oasis in the midst of an urban setting. The trails and trees brought a rustic and natural aspect to the photos we took and the light and temperature in June was comfortable into the evening hours. Alec and Julia definitely seemed a bit nervous and jittery at first, but thankfully they had picked the perfect location. 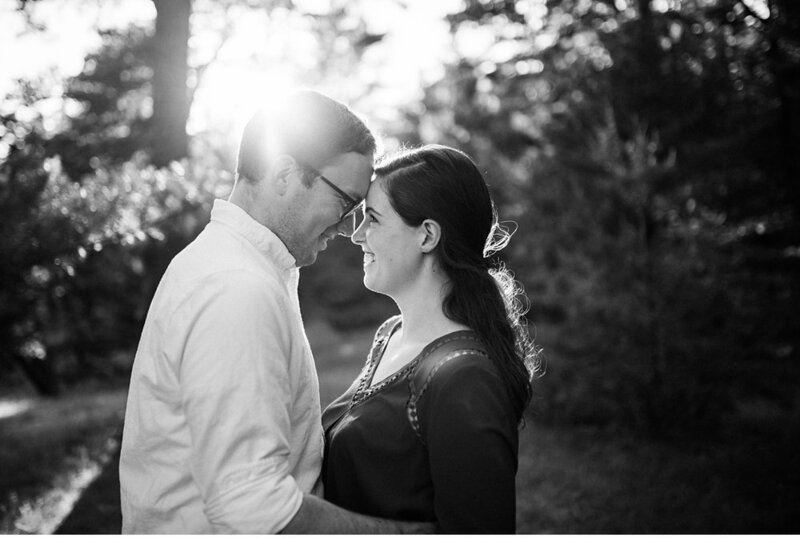 Their upcoming Vermont wedding added excitement fit perfectly with the landscape. Part of my way of making couples comfortable is to acknowledge the nerves and awkwardness of having one’s photo taken. One of the best ways is corny jokes and suggestions. Over the last few years, I have pulled together a large (and at times somewhat embarrassing) number of these silly little jokes and games that have a way of pulling couples out of their own heads. Engagement photos should celebrate the joyful connection between two individuals, and this is one way to pull personalities to the forefront and avoid stiff, formal photographs. Julia and Alec ended up having a blast with the shoot and their photos reflect that. These two down to earth city dwellers later celebrated their wedding day at the beautiful Barn at Mad River in Vermont.